Jilted by Kanye, both rappers seem on the verge of a comeback. And they're both hitting the Bay on Friday. Twista may only have one good album to his name. Chicago rapper Twista and his Philadelphia-born counterpart, Beanie Sigel, who will both hit the Bay Area this Friday — Sigel at The New Parish to promote his latest album, This Time; Twista at 1015 Folsom — have more in common than parallel tour schedules. In fact, they have similar career arcs: Both found success in the mid-2000s Roc-A-Fella hit machine; both petered out almost immediately. Both found a second wind on the mixtape circuit. Both maintained tenuous relationships with Kanye West. And both seem on the verge of a comeback. In fact, we're not sure which show to send the discerning hip-hop fan to this Friday, but we thought a historical comparison might be in order. 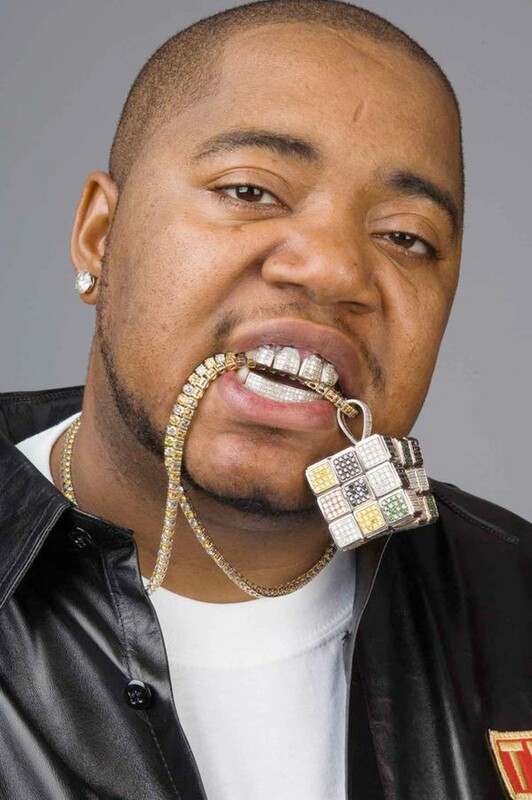 Our ears certainly perked up when we heard talks — okay, backroom whispers — of Twista joining West's G.O.O.D. Music imprint. West is better equipped than most to snap Twista out of his doldrums, since Twista's spectacular "Overnight Celebrity" was a West production. Twista may only have one good album to his name — 1997's Adrenaline Rush — but urban radio still loves him. Program directors thought so much of 2010's miserable "Make a Movie" that they spun it hourly for months, helping ease a post-Rihannagate Chris Brown off the blacklist. As it stands, Twista appears to be a one-trick pony. Which, of course, might not translate into a superlative live show — and given the dearth of live performances that crop up on YouTube, we suspect he might not be the most experienced performer. In fact, Sigel might be the better bet, with his outsized character and penchant for getting into legal trouble. He was recently sentenced to two years in prison for tax evasion. That's perfectly in character for Sigel, who has gone in and out of prison for years. He never retires from the media's watchful view for long before some new entanglement with the criminal justice system crops up. One moment, he's beefing with Drake. The next, he's anointing himself the heir to Al Capone or nursing a gunshot wound. Sigel was aquitted of attempted murder in 2005, but judging by the sentiments expressed on that year's The B. Coming, he was in no mood to chill the champagne. Waking up in cold sweats/Piss scared with the rumblers, went one of the album's less graphic lines. Like Twista, Siegel first penetrated the national consciousness on a West cut: 2000's "This Can't Be Life" off Jay-Z's The Dynasty: Roc La Familia (originally intended as a Roc-A-Fella compilation). He railed against absentee parenting in a master-class verse that almost made Jigga sound small by comparison. On The B. Coming, he interwove the most obvious Seventies samples — including from Fleetwood Mac's Rumours — into an album about the sneaky ways that fractured childhood memories become clear and painful. The chipmunk Philly soul of 2009's The Broad Street Bully and this year's This Time conjured similar images of yellowish walls, bitchy grandmothers, and Name That Tune reruns. Now staring down a prison sentence for tax evasion, Sigel lost his career to the same industry-swallowing tempest that ate Twista's. But listen to these two exchange beautiful venom on their duet "Gotta Have It" from The B. Coming: Every snare is crisped to perfection. Twista brings out the bedlam in Sigel; Sigel brings out the bile in Twista. On an album that features Sadat X and Heavy D, "Gotta Have It" is the song that stands out most. It's virtually peerless in contemporary hip-hop. The Fillmore emcee uses hip-hop to address the disparites of urban life.